Whether you like a game of snap or play for the big stakes with Poker, playing cards are an old favourite pastime. They date back to the 9th century! 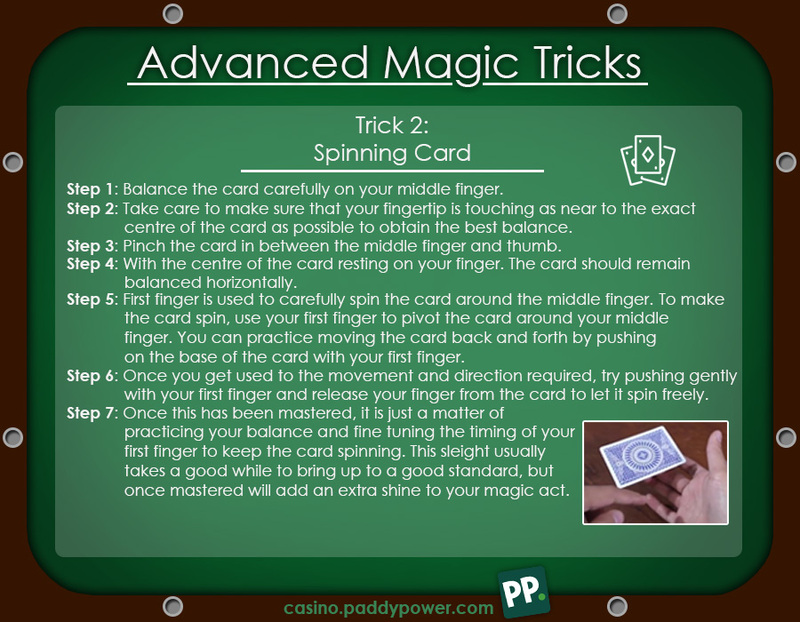 They are one of the most popular forms of entertainment and can be used for no end of games. 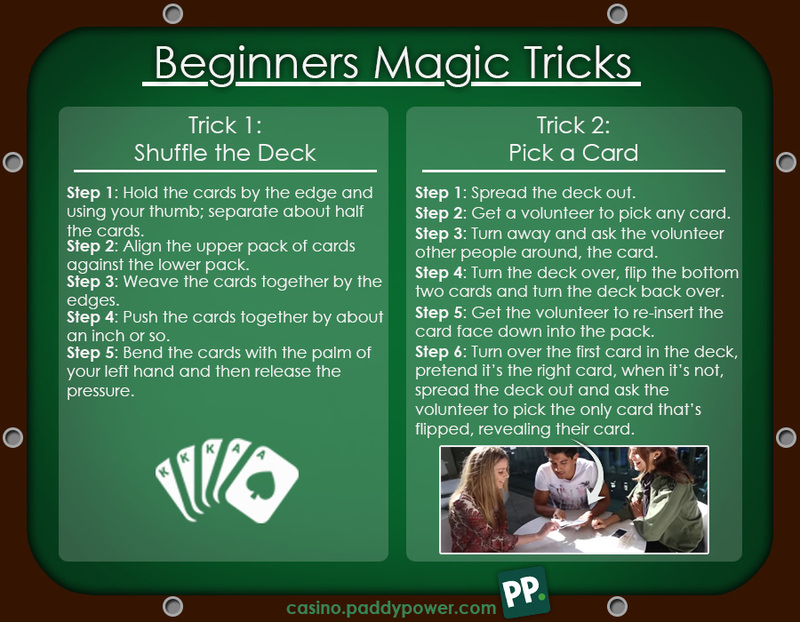 Whether you are travelling, hosting a games night, having an evening free of TV or practicing your maths, cards are a great resolution for anyone’s boredom. 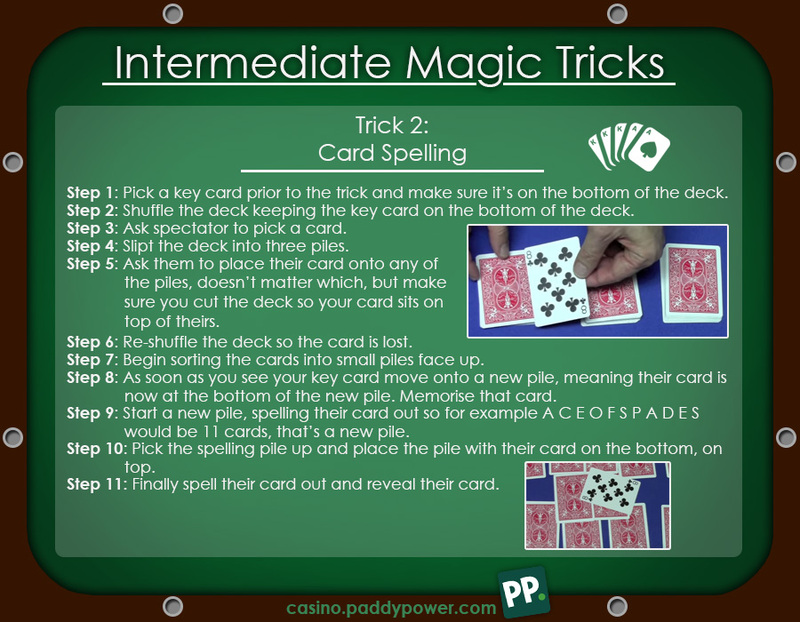 If you like playing cards then try the best online casino Paddy Power to play cards interactivity. 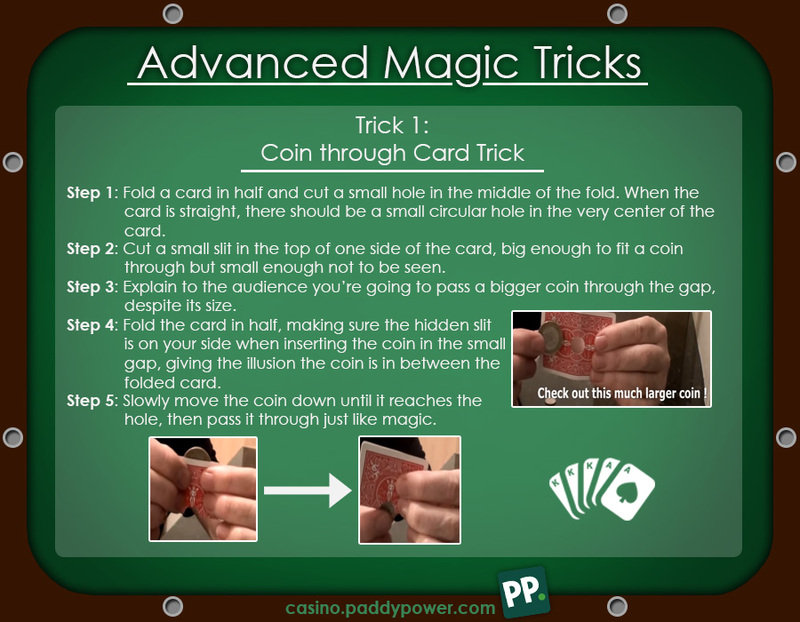 As well as games like snap, poker and rummy, you can use cards for some fun card tricks. 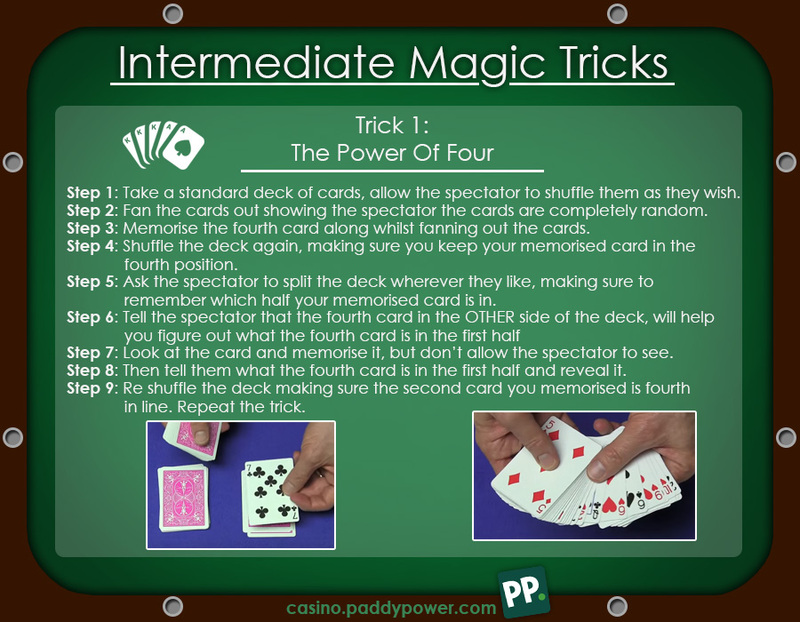 We have created these card trick instruction cards in three levels showing some basic starter tricks all the way to advanced magician magic. Give them a go.